A hassle-free one way drop to Tirupati from Bangalore in a private cab. Easy and safe transfer from Bangalore. Relax in comfortable private air-condtioned cab. Value for money pricing, no hassle of bargaining for the fare. Tirupati is in Chittoor district of Andra Pradesh. It is most famous for its Sri Venkateswara Temple dedicated to Vishnu, also known as Balaji in North India and Govinda in South India. The temple is on top of Tirumala hills, while the town is in the foothills. The Tirumala hill has seven peaks ("Sapthagiri"), said to represent the seven hoods of Adisesha, the serpent under whose hoods Vishnu resides in Vaikuntha. It is the richest and one of the most revered shrines in India. The driver will pick you up from your pick-up location in Bangalore. 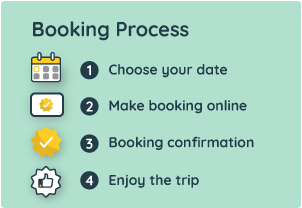 You can select the pick-up time during the booking. You will be travelling a distance of approximately 245 km in your private cab. It would take you 6-7 hours to reach Tirupati, including your stops for meals or refreshments. You will be dropped at your preferred location in Tirupati. Hotel/residence pick-up from Bangalore limits. Transport in a private air-conditioned cab. Drop to hotel/residence in Tirupati. Pick-up from Bangalore hotel/residence/airport/railway or bus station. The drop-off in Tirupati hotel/airport/bus or railway station. The transfer has a limit of 300 km. After 300 KM, additional per kilometre charge of Rs.11 for Sedan (4-seater) and Rs.13 for SUV (6-seater) will be applicable (to be paid directly to the driver). Night charges of Rs. 300 per cab (per day) is applicable if the cab service is used between 10:00 pm to 6:00 am. This is a fixed itinerary tour and deviation from the set itinerary is not allowed.